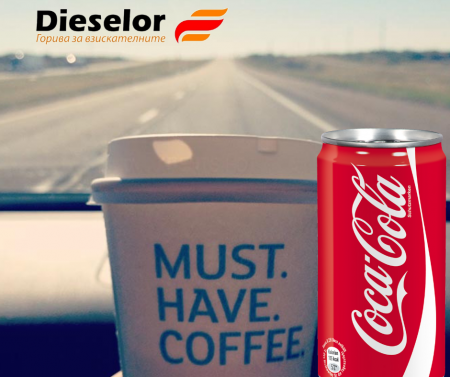 Petrol station Dieselor, Plovdiv, welcomes you with new coffee - 100% Italian quality! Tight coffee with fragrant aroma and compelling taste already makes happy all coffee lovers visiting our site in Plovdiv! 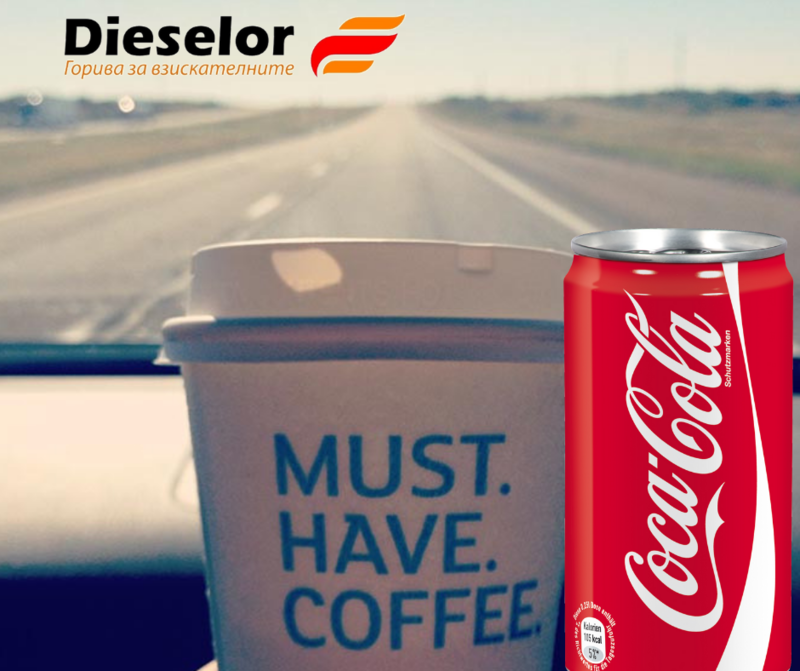 Espresso coffee + Coca-cola 0.33 l only for 1.30 lv! Plovdiv, 139 "Vassil Aprilov" blvd.